Ribhu Dasgupta’s Te3n is a slow paced thriller meant for audience who bring their minds into the hall, love to read between lines and concentrate on details. It’s tad slower than what it should have been, zero sub plots and recommended for home viewing than hall visit. Ribhu’s last project was a home viewing television series thriller ‘Yudh’ featuring Amitabh Bachchan. The series was fast paced, had adequate sub plots, shock moments, twists and turns; but fell flat in last three episodes to undo all the great work before. The director hasn’t learnt much from that expedition (Yudh is still worth repeat viewing, make no mistake) and in Te3n he gives a straight story with drab ending and which audience won’t remember long. With settings being Kolkata and lead investigator being Vidya Balan, it automatically puts Te3n up for comparison with the classic Kahaani. Sujoy Ghosh’s movie was fast paced and worth multiple repeat viewings, almost like your favourite buffet. Te3n, comparatively, is your late night whisky sipping experience! Kolkata as a film locale has been extensively used this century, than latter half of previous century. Yuva, Devdas, Love Aaj Kal, Lootera, Gunday, Barfi, Detective Byomkesh Bakshi and Parineeta; each of them do justice to the city’s landscape and culture. 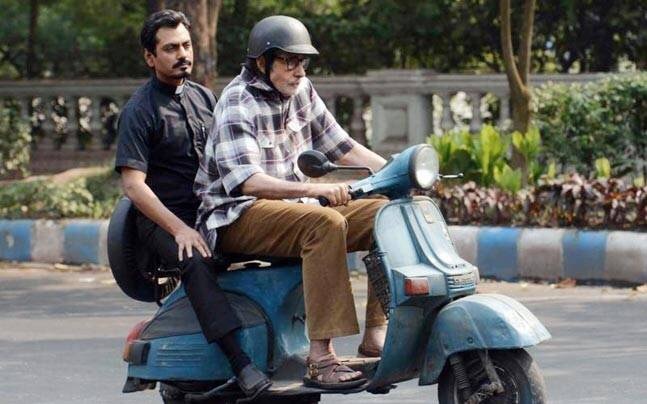 Te3n plays its part showcasing the bylanes, ferries and yellow taxis amidst the baritone of Big B humming. Needless to say a movie with Bachchan, Balan and Nawazuddin was always going to be about performances. The ticket price is worth seeing each of them go through their roles with conviction. However excess screen time is devoted to Big B and his range of expressions (shoulders drooping, stuttered gait, worries and fears) which slow down the movie. I wish more of Vidya Balan and Nawazuddin, their chemistry and confrontations were made heart of the movie. Both of them are good but wasted. What we are left with to see are Balan’s curling eyebrows and lifting lips (detailing her helplessness) and Nawazuddin’s sleepless nights – of a failed investigator who seeks solace in being an unwilling priest; not convincing angle. Te3n is official remake of Korean movie Montage. It’s about Big B fighting against all odds, searching for eerily similarities between a recent murder case and one subjected to his granddaughter eight years ago. It’s a great example of how purpose in one’s life is a must to overcome all physical or financial attributes and be leader of own lives. 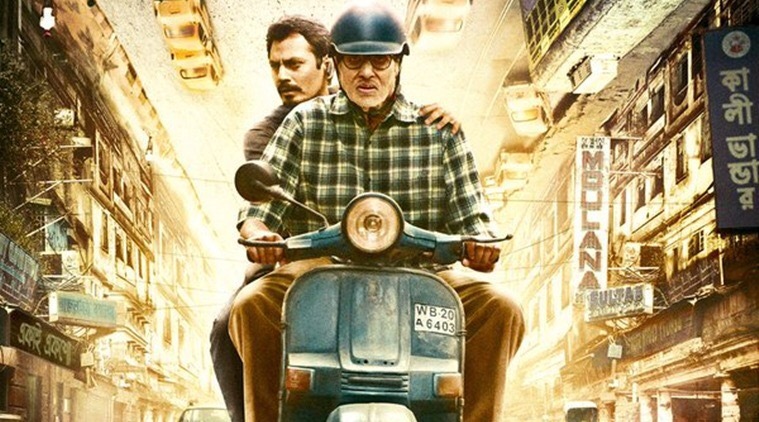 Box office prediction : Despite Te3n’s expected low budget, performances and intent; it’s slowness, lack of subplots and unable to grip the viewer (most parts of the movie) will be its undoing. However you rather invest and watch a good movie than go Housefull 3 – a product I wouldn’t dare to watch on television even in fast forward mode. Great review!!! I didn’t know about this movie. Hey I just published a new review about American Sniper. I would be really grateful if you check it out and suggest some changes that I should do. I really like your writing style. FullFaze I gave a quick read. It’s good just do a re-read and remove the spelling errors – quite a lot. Also keep some subheadings and pictures to make it attractive n with sections. Else it’s good. Don’t compromise on your own style, just keep improvising on it. That’s what makes all creative people unique.